My road atlas shows the secondary roads in red. Those are the narrow two-lane county blacktops that pre-date the expressways and the superhighways. And it is where the historical sites and nostalgic gems are still found. 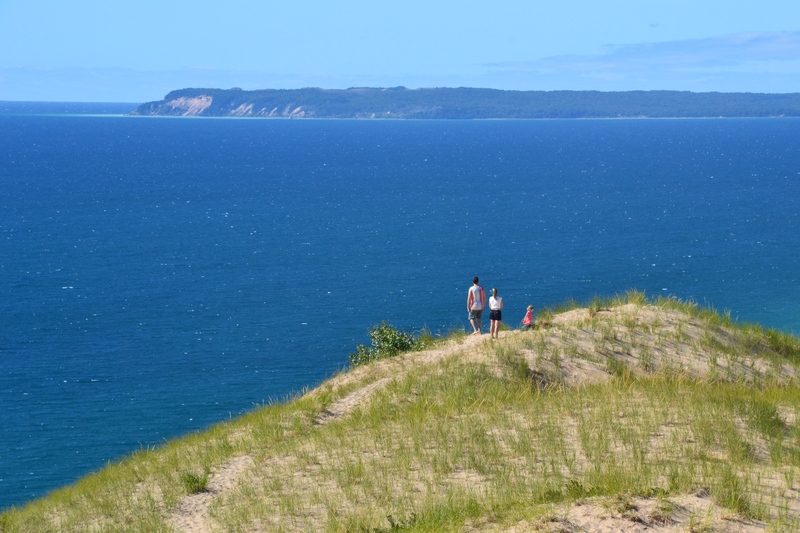 M-22 is a redliner’s treasure, as it winds through mature forests and over sand dunes, outlining the Leelenau Peninsula, Michigan’s virtual “pinkie” finger as it were, the lower peninsula being shaped like a mitten. 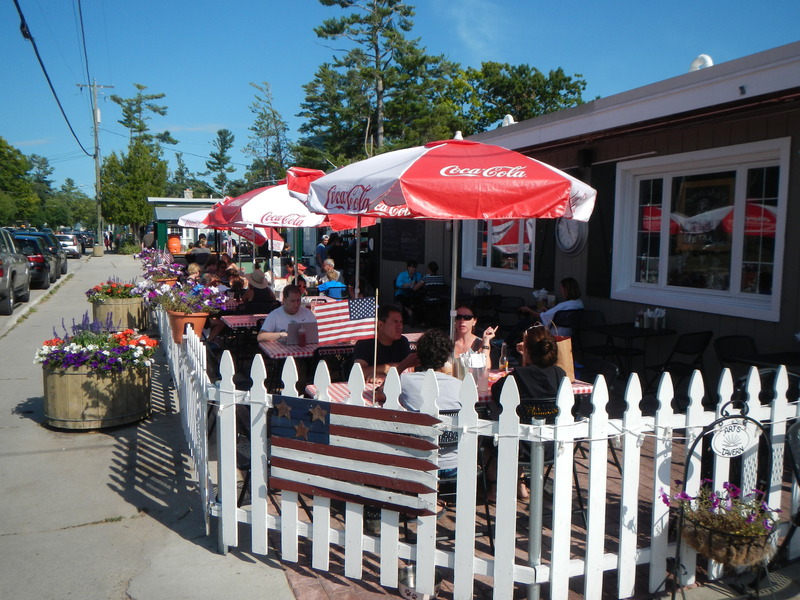 It is punctuated by 150-year-old lighthouses and roadside farm markets offering sweet black cherries and other organic delicacies. 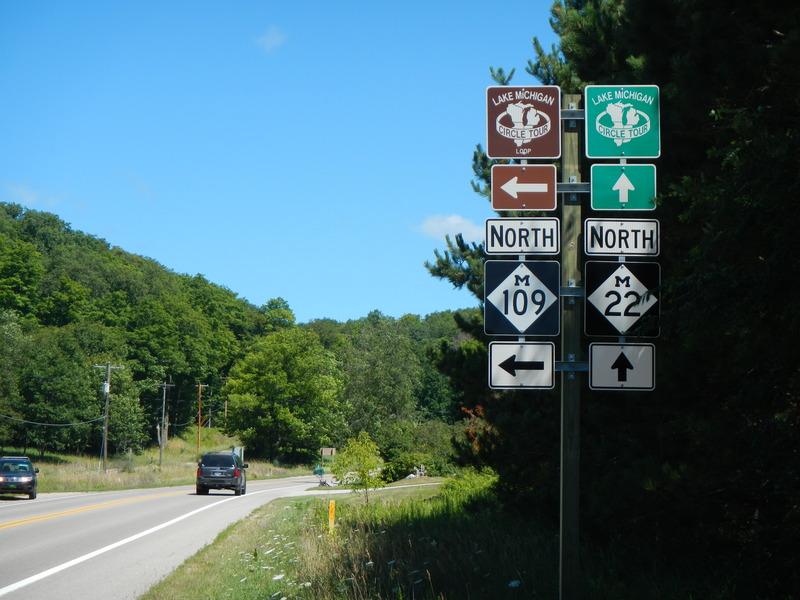 M-109 is a road trip within a road trip, a side spur from M-22 that skirts the Sleeping Bear Dunes National Lakeshore. 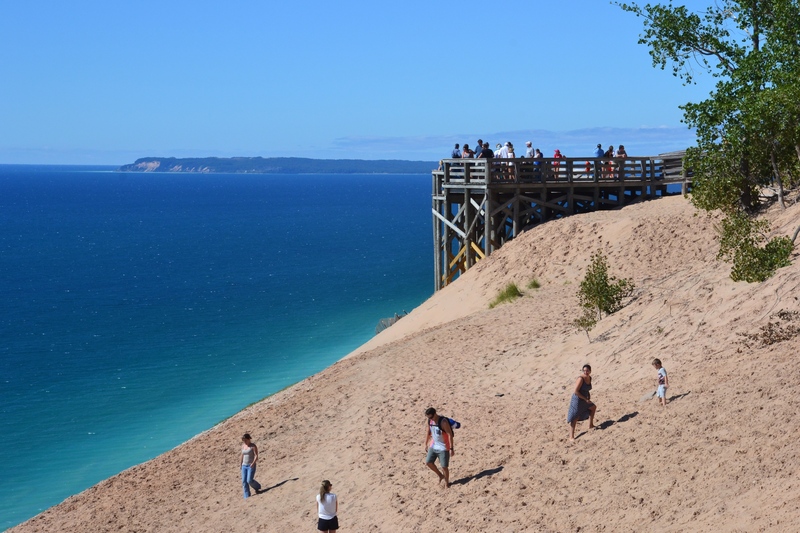 A side spur from this rural delight is another gem, M-109, which winds lazily through the Sleeping Bear Dunes National Lakeshore, an expansive park that is managed by the National Park Service. It is the home of a well-preserved ghost town. 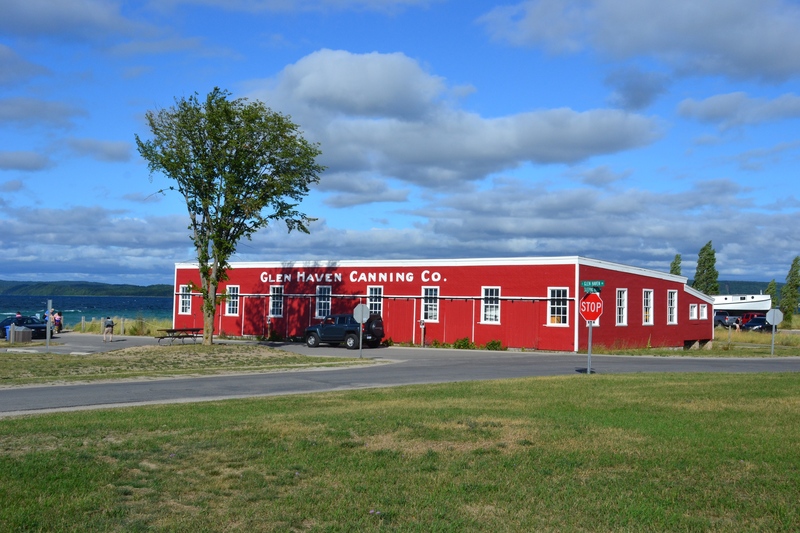 Glen Haven is an old fishing village with a historic inn, general store, blacksmith shop, fishing cannary and other buildings. M-109 heads off through the Sleeping Bear Dunes National Lakeshore. 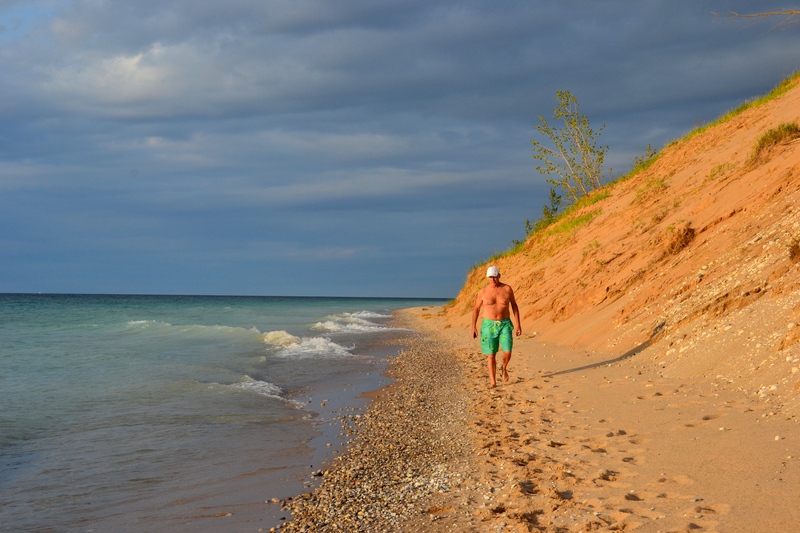 The National Lakeshore is a wonderland of perched sand dunes, thick forests, abandoned farms and old vacation homes. The shorelines are gorgeous. If there is magic where land and water meet, then this peninsula is entirely enchanted. 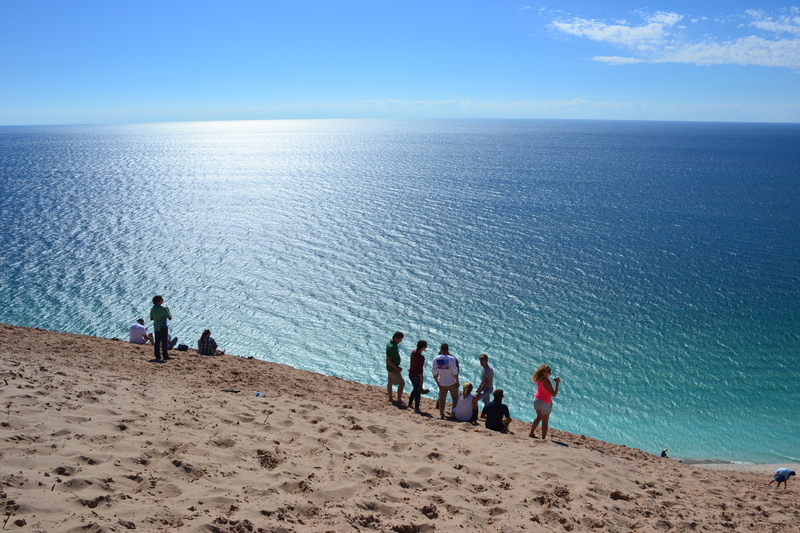 Shifting sand dunes rise more than 450 above the turquoise waters of Lake Michigan. Nature lovers and adventurers experience a rush of enthusiasm for a plethora of hiking trails, bike paths, scenic drives and beaches. 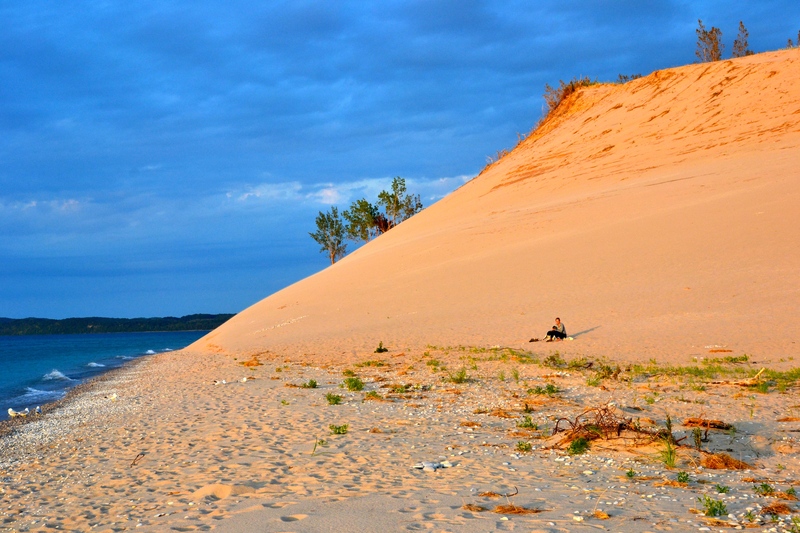 Perched sand dunes loom over the beaches along the Leelenau Peninsula. 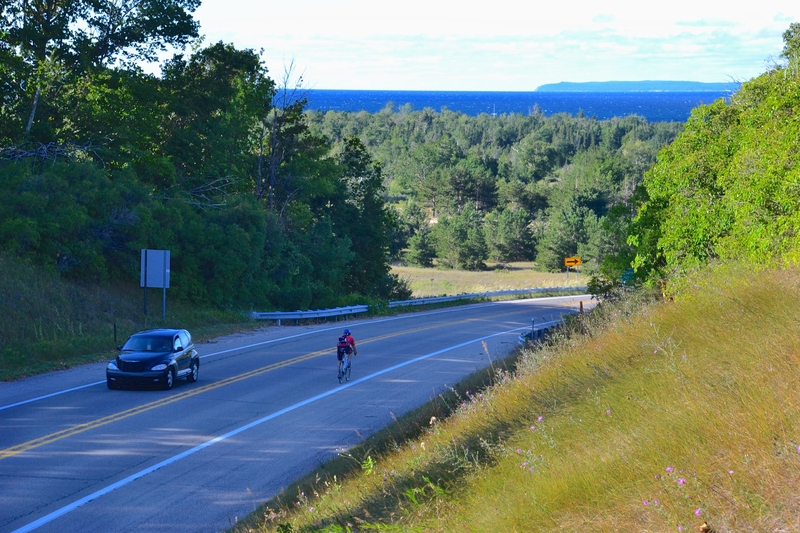 The scenic overlook at Pierce Stocking Scenic Drive provides a gander at Lake Michigan and the distant South and North Manitou Islands, also part of the National Lakeshore and desirable backcountry camping (backpacking) destinations. Visitors see the lake from 450 feet above the water. 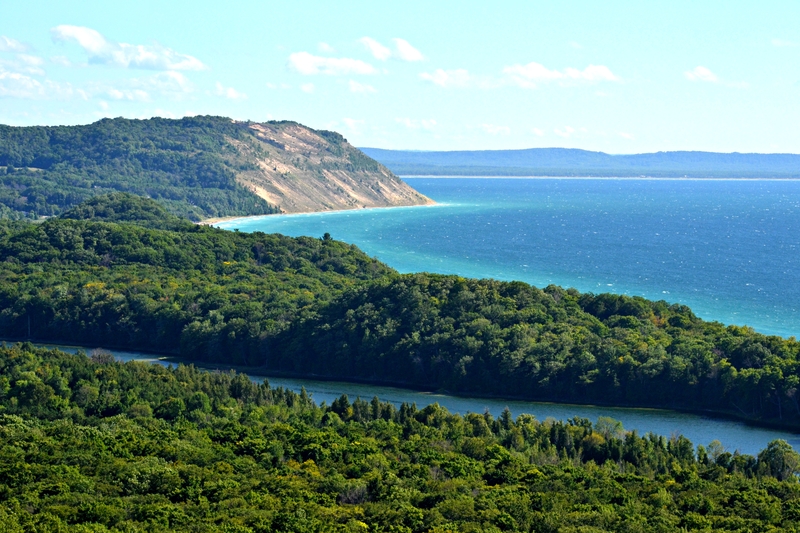 The view of the Empire Bluffs from an overlook on the Pierce Stocking Scenic Drive includes North Bar Lake in the foreground. 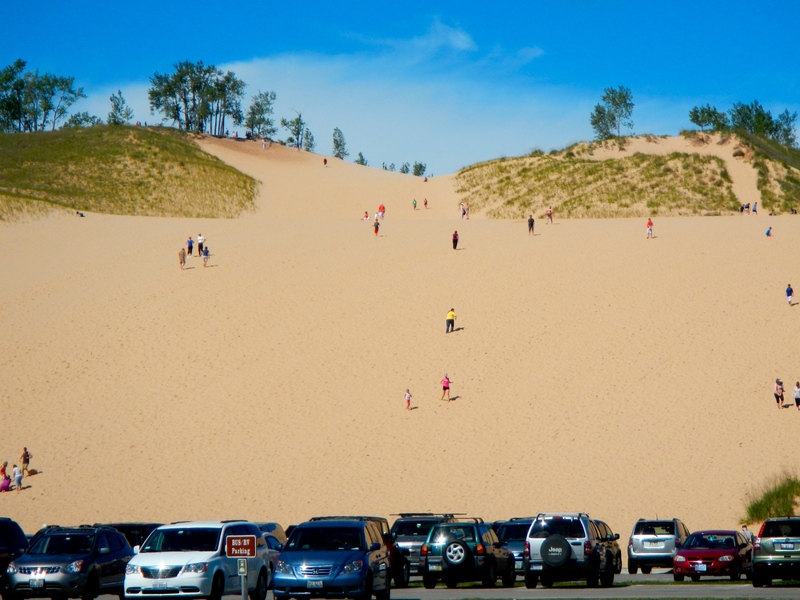 The Dune Climb is one of the most popular hikes in the park. 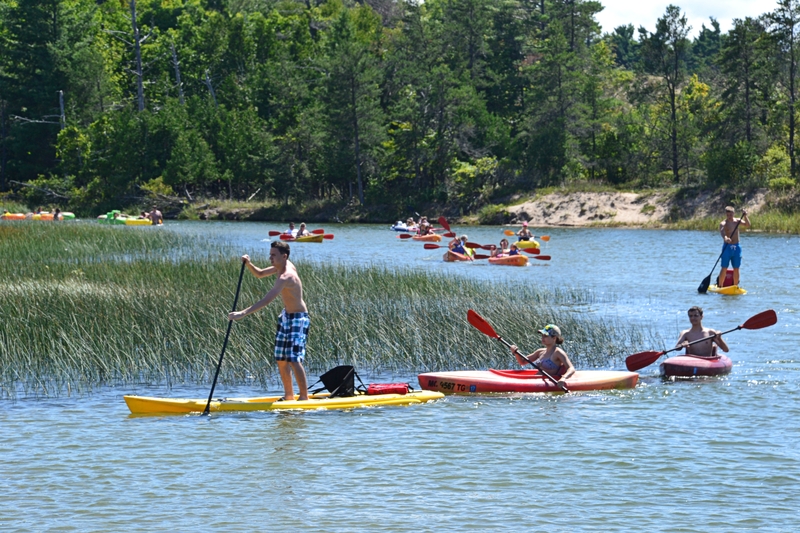 The Platte River is perfect for kayaking, canoeing, paddle boarding and tubing. 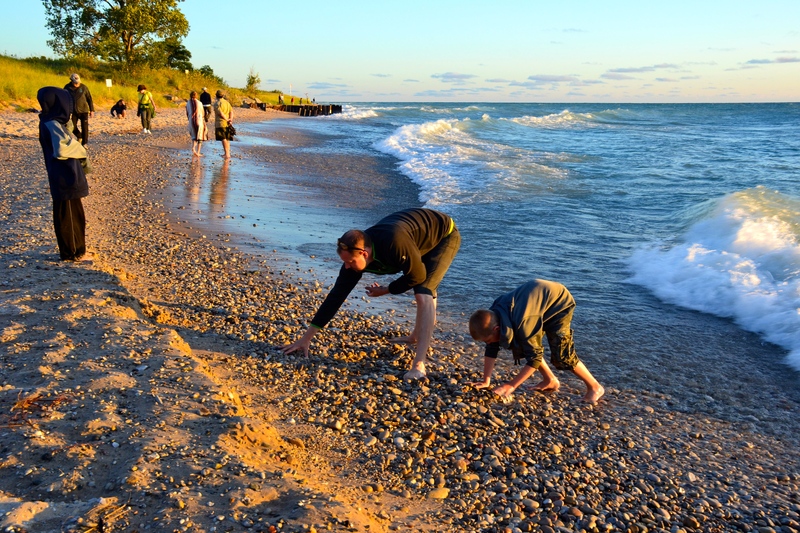 Lapidaries and rock collectors search for mineral specimens and fossils like the Petoskey Stone, Michigan’s state stone. 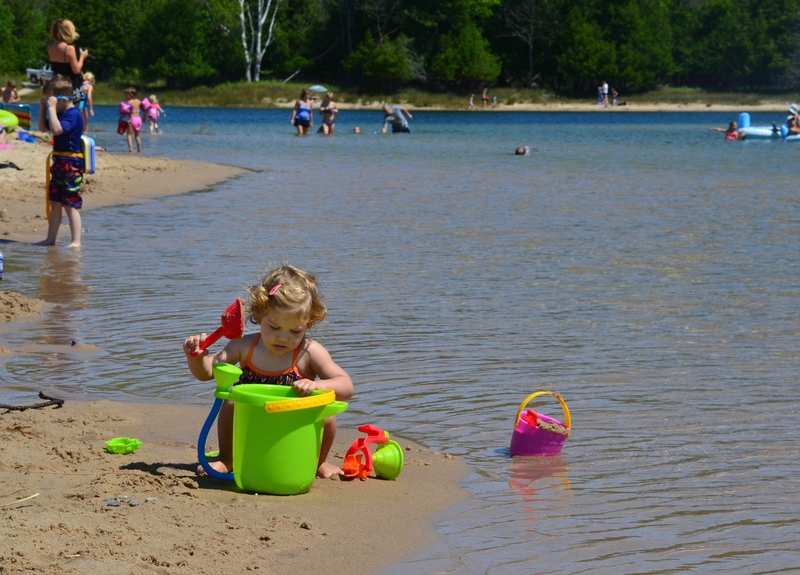 Families with kids love the warm waters of North Bar Lake which is separated from Lake Michigan by a narrow sand bar. 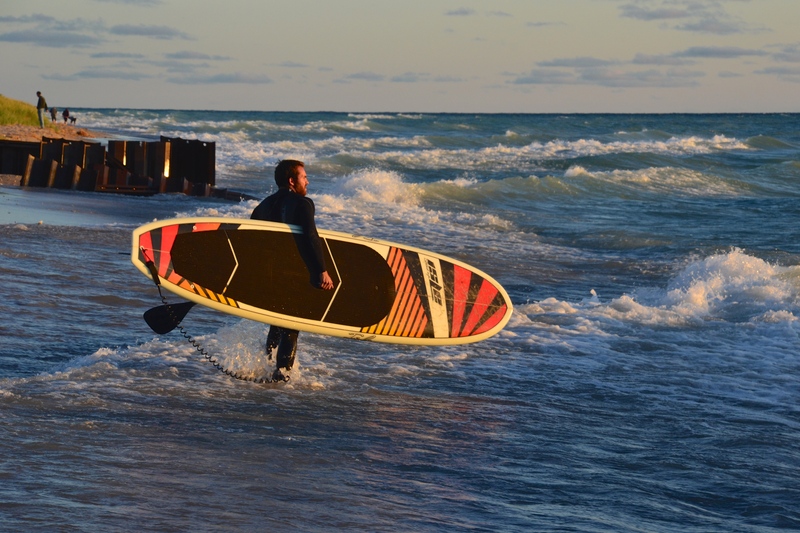 Water sports enthusiasts find plenty of opportunity on Lake Michigan and several inland lakes. 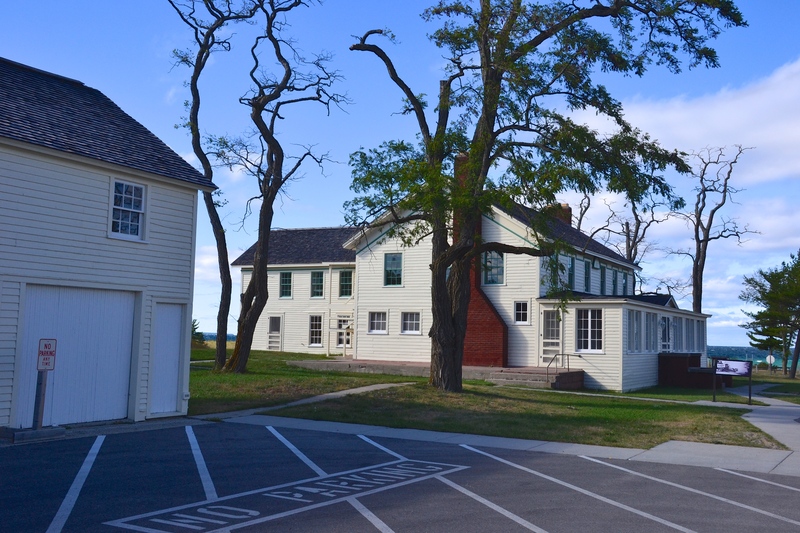 The port town of Glen Haven is now a ghost town, nicely preserved by park service historians. 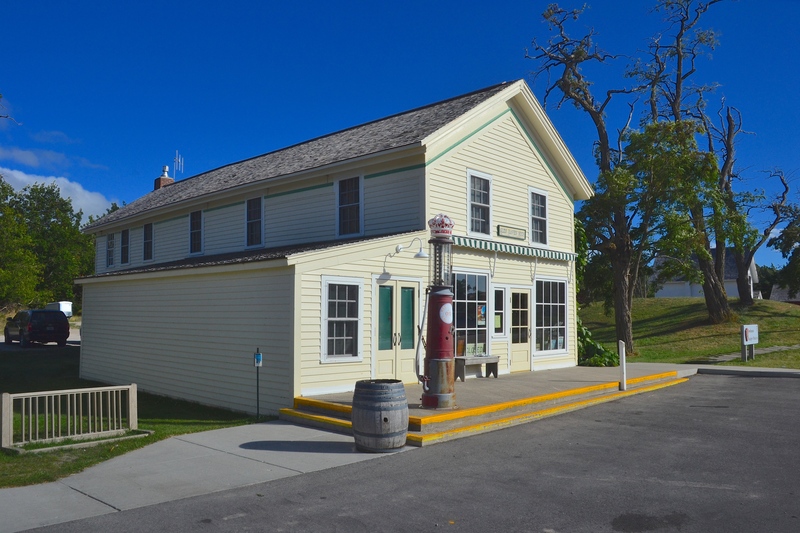 The Sleeping Bear Inn ran for more than a century until closing in 1972. The fish cannary still stands at the water’s edge in the historic port town. 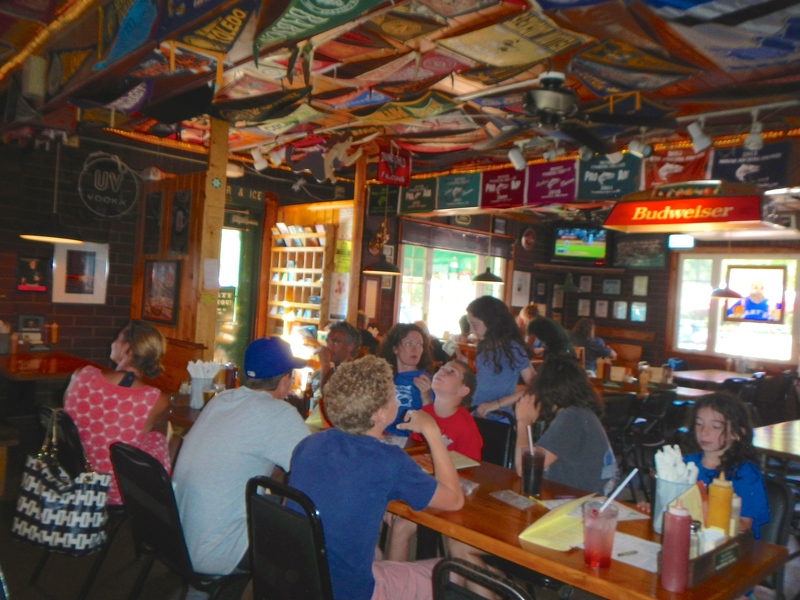 Art’s Tavern in Glen Arbor is entirely decorated with school pennants on the walls and ceilings. 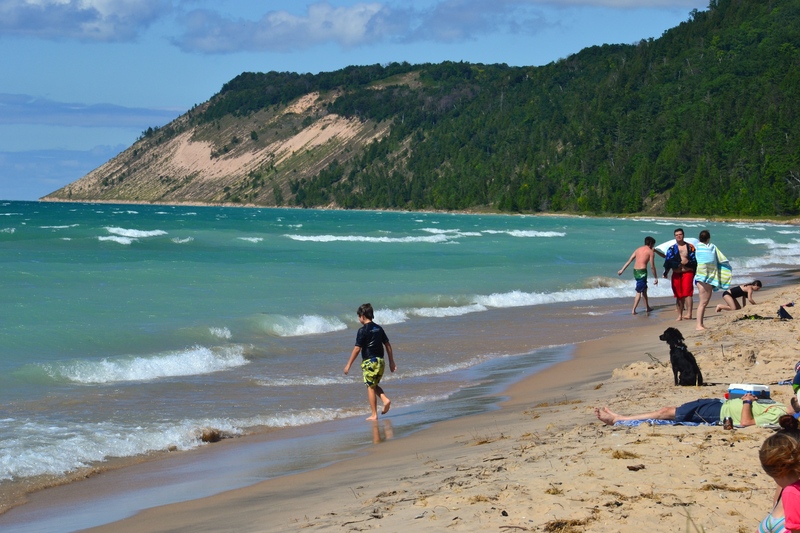 Glen Arbor is alive with tourism during the summer… and pretty much dead the rest of the year. 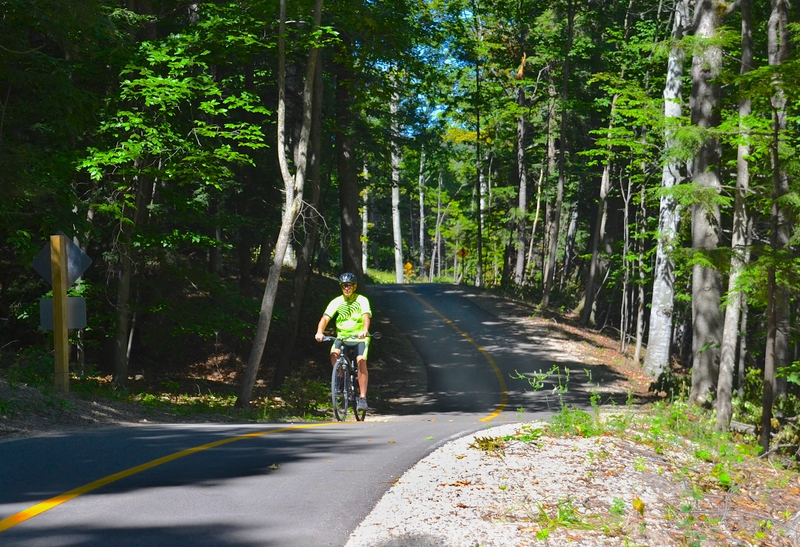 The Sleeping Bear Heritage Trail is a premiere cyclist’s destination that winds along the shoreline and through deep woods and open meadows for 27 miles. It has a few steep hills with grades of up to 11%. Beach walkers are not disappointed along the many miles of beautiful beaches flanked by dunes and surf. 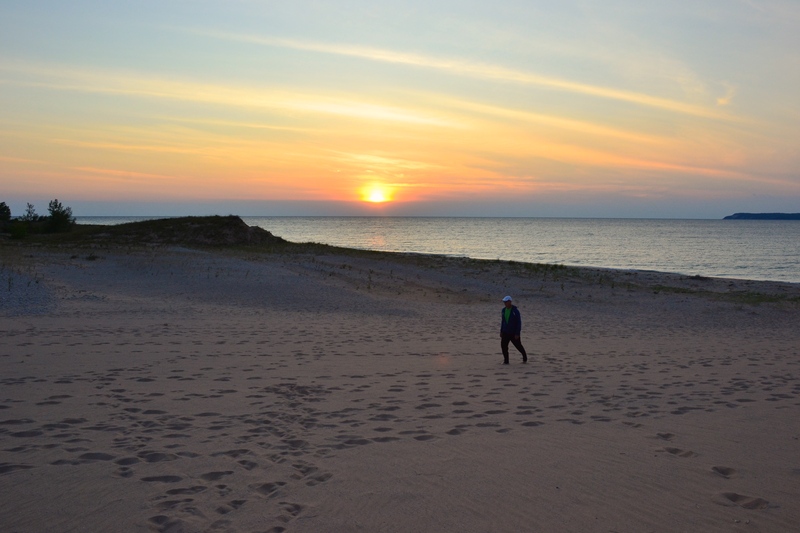 This is a land of million dollar sunsets and folks show up all along the shore to enjoy the show across the dunes and Lake Michigan at sundown. 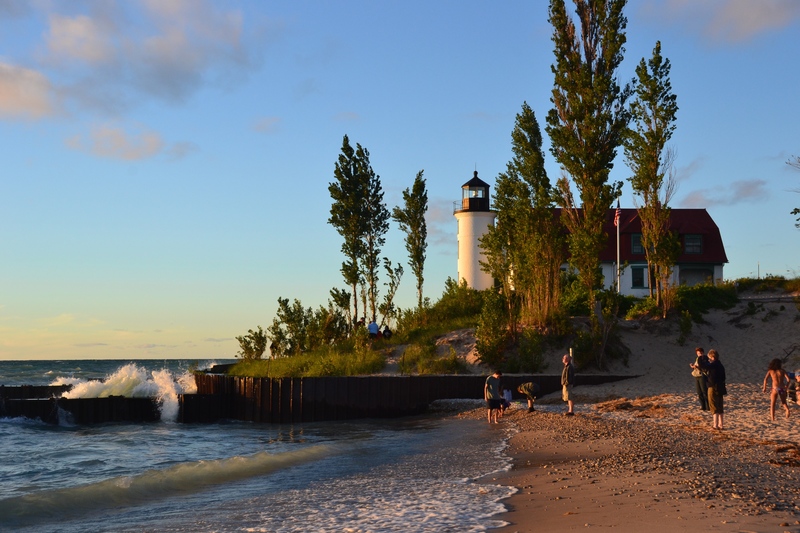 Point Betsie Lighthouse is near the south end of M-22 not far from the port of Frankfort, Michigan. Being over 50 miles from the nearest freeway, M-22 is not on the way to anywhere… except adventure and natural splendor. My travel tip: If you can, avoid the crowds of the later summer and visit the area in September when the parks are nearly empty and you have your pick of campsites – or cabins. The lakes are still relatively warm and accommodating for water sports like kayaking, paddle boarding and swimming. After that, the maple forests light up with the vivid yellows, reds, and oranges of autumn. And after that, it gets nasty out here when the gales of November start whipping off of Lake Michigan and the early snows set in.